NOTE: This E-Panel (Enclosure) does not include an Outback inverter! To obtain surge protection in a smaller case use Delta Lightning Arrestors. The MidNite Solar E-Panel comes standard with the basic over-current protection and disconnects required to install your renewable energy system. It can also expand to grow as your needs arise. Light Side Hinge: hinge on left, circuit breakers on the left and charge control bracket on the right. 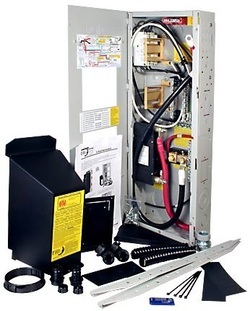 All E-Panels now come with a side plate that accommodates up to three panel mount breakers like the MNEDC80. 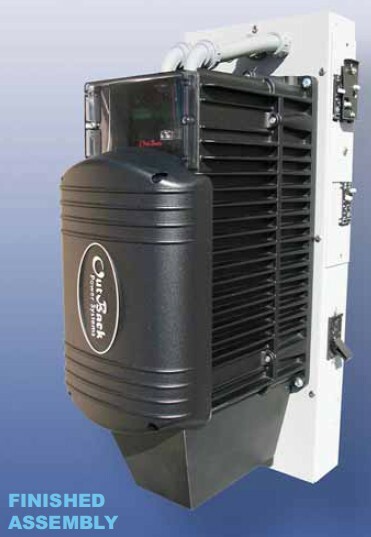 All OB E-Panels also now come with a Mate mounting bracket, PV + bus bar and 80 amp bat + bus bar.